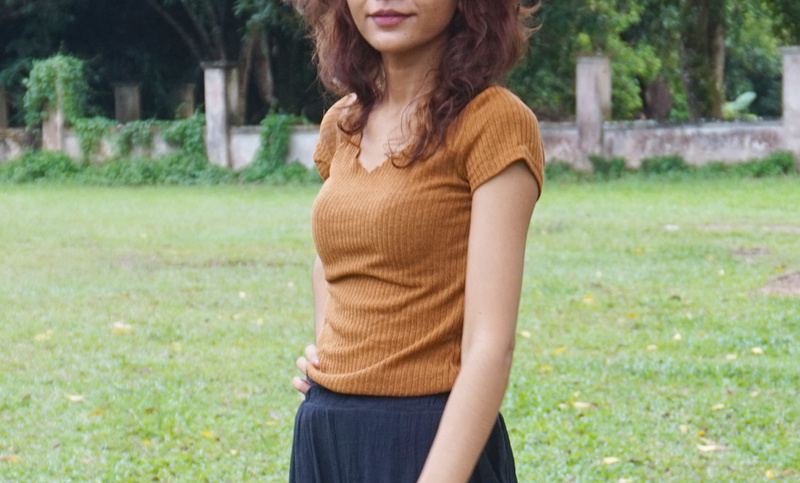 The time I wore a brown mini dress as a top, with a black slouchy paperbag style pants. The brown mini dress has a scallop neckline making it so adorable. I thank my sister for getting me this dress when she went on a vacay with her other half because she gets me by telepathy sometimes. 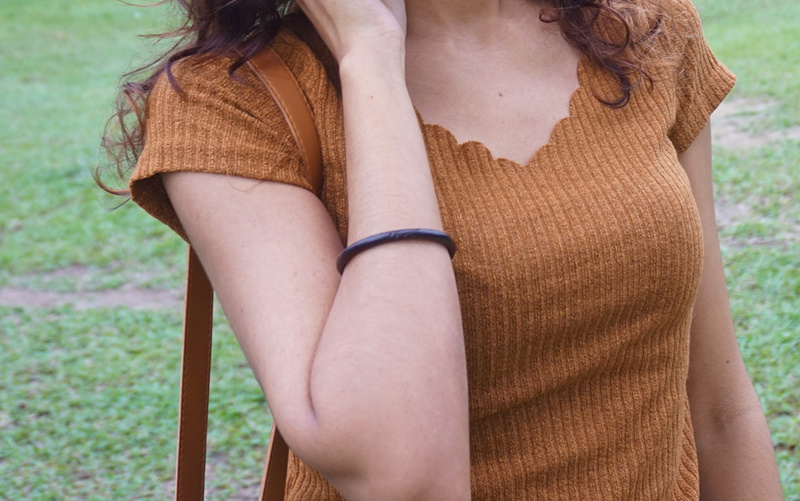 I love brown shades so can’t resist the appeal of this dress. But on the day I wore this as a top, I didn’t realize so much bunching was happening in the area where I tucked in the dress into the pants. I blame my photographer for not telling me that the midsection gathers are crimping my style. But then again, sometimes, the rumpled look naturally happens whenever I get too cozy so I decided to not care. I never understood why these pants were called paperbag but now I get it, finally. The waist part has the kind of gathered detail that kind of look like a scrunched up paperbag. So, there you go. With my waist bunching and these pants looking eternally crinkled, the look can safely be called bunchy and crinkly. My hair has been washed and dried with the blow dryer set on cold air alternating with warm air. 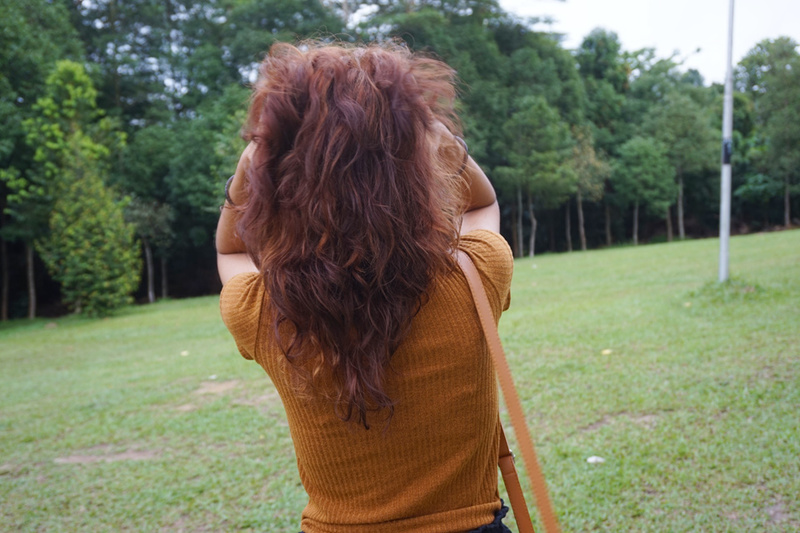 No comb was involved because I liked the curls to retain their wildness. But with the humidity in the air outside, the frizz happened. 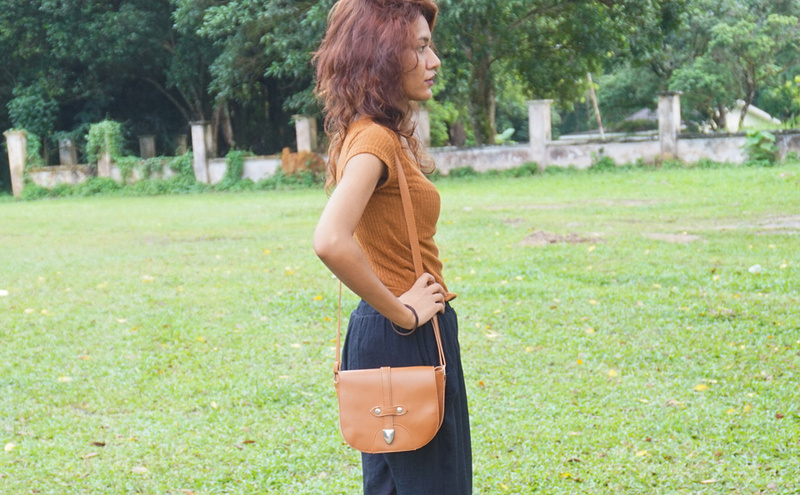 Overall, this look can be categorized as a black and brown look as I purposely styled it with the two in mind. I don’t know what else to add about this look in particular other than it was comfy. 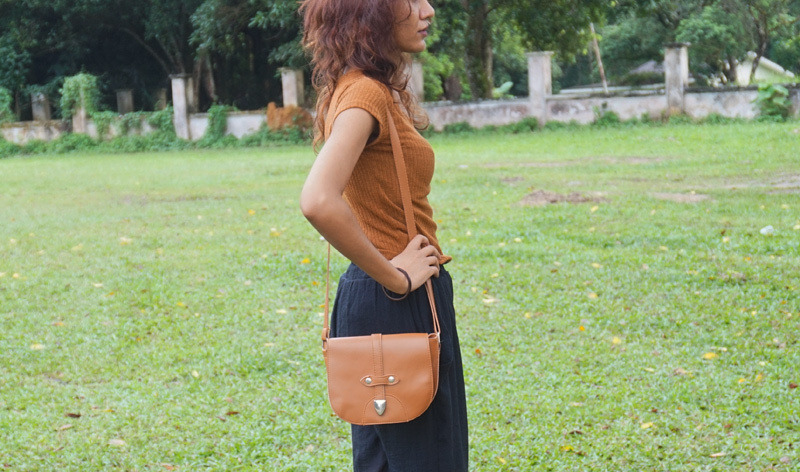 I just wished I had the bunching minimized but overall, it’s just another laidback outfit I’m prone to wear. Waiting for an imaginary cab the old-school way yo. What do you think of this look? Be sure to drop all your thoughts down below – I relish reading them and will respond and stalk you, so go wild!